I’ve worked in marketing for major corporations for the last 30 years. I have always believed that an accurate test for how good of a marketer you are is to take your own money and start a business on your own. When I lost my job three years ago, it was my time to try to do something entrepreneurial. I knew that my Mom’s and Nana’s 100% natural Butter Cookie recipe was spectacular and had not yet been commercialized and that the time had come to introduce this fabulous hand-made recipe to the world. My only concern was my age. I was nearly 60. But I woke up one day and I said, I am going to do this! The rest is history and my only regret is that I did not start the company earlier in my career. Did your expectations of business ownership match your experience? Yes and No. The same challenges of writing business plans, finding a unique point of difference in your product, and implementing marketing elements (packaging, promotion, pricing, etc.) are fundamentally the same. I find myself doing the same kind of work that I did throughout my marketing career. However, the surprise came when trying to fully understand the resources ( time and money) that are required to be successful. It became clear that I cannot do it all myself and had to slowly build an infrastructure of good people around me. And I had to tap into my retirement savings, which was scary. Owning your own business is not for the faint-hearted. It takes a lot of guts, stamina and resourcefulness. All I can say is my journey has been a rewarding one. What are the biggest challenges facing today’s female entrepreneur in your opinion? Confidence. Believing In Yourself. Persistence. It can be scary starting your own business. You essentially do everything yourself in the beginning, usually spending your own money against the decisions you make. There is so much to do and learn. For example, I had to quickly set up an accounting system and hired a certified Quick Books Advisor to train me. I definitely wear more hats than I’ve ever worn before- all at the same time. It’s a challenge juggling everything but I’ve grown in so many new ways, and that’s rewarding. Over time I found good partners and strong relationships particularly among women’s organizations such as WBENC and NJAWBO. Women entrepreneurs are wonderful and give back. You just have to keep your nose to the grindstone and keep plugging away understanding what worked and didn’t work. And soon, it all starts to happen and grow, building momentum with each passing day. What is it that you love best about what you do? I love the product development part: finding new recipes, developing new products, finding a great package that works well with my product presentation. It’s what I did throughout my career in marketing and I love it. It’s a process of creativity and creating. I also love seeing the joy on people’s faces when they open one of my products and taste the love that’s put into every bite. It’s so rewarding! I love reading testimonials from customers who are happy with my products and services and come back again and again. In all, this is a happy business. The 100% natural, 3 generation family cookie dough recipe that forms the dough in my Gourmet Cookie Pies and Butter Cookies is the unique factor in my products. Honestly, every time I make them, I see my Nana and my Mom in my mind’s eye. In every batch I smell the buttery aroma and it takes me back to when I was in my Nana’s kitchen as a little girl baking cookies and packing them in tins to give away for gifts. 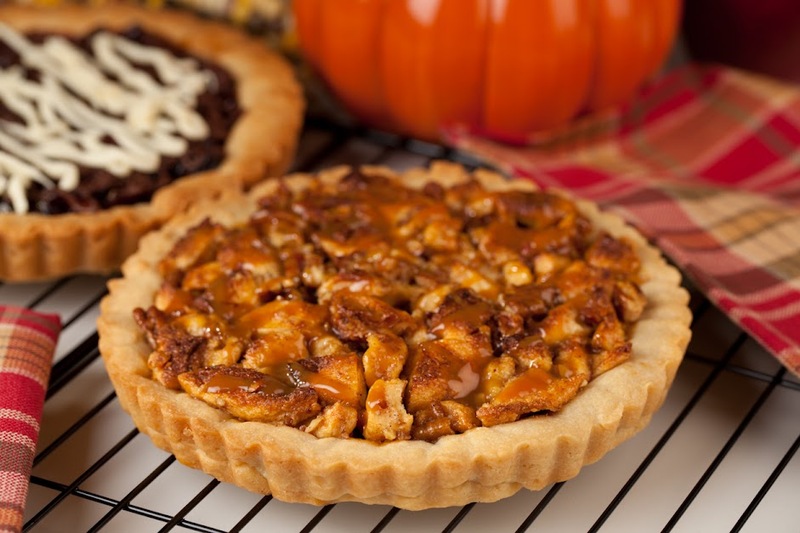 I make my Cookie Pies and Butter Cookies the same way they taught me…exactly using the same ingredients they did. Beyond that I take a lot of pride in what I do and really make sure everything is perfect. I say each Cookie and Cookie Pie are made with love and I mean that. I inspect each and every one. If you knew THEN what you know NOW – what might you do differently if you were starting your business today? Hmm…good question. I would have initially focused on Corporate and direct to customer accounts. Wholesaling to retailers is very competitive and a lot of work with tight margins. I think I would have evolved to that instead of starting there. The positive is that it builds volume quickly, and volume happens to be a cure-all for most problems in business. I also would have hired more people at the beginning stages of the business. I was scared to hire people as I was unsure if I was going to be successful and, as a result, tried to do too much myself. I did not have the right expertise in all areas and I was spread too thin. I needed to focus on growing the business and the things I do best. I needed to get out of the fray of the daily operation sooner than I did. What is the best business advice you’ve ever been given and why? Never give up. Stay on the course. Figure it out if something’s not working. Persistence Persistence. Persistence. Why? Because when you first start your business, you make a lot of mistakes and it’s easy to give up instead of trying to figure out what went wrong. It’s a lot of work owning your own business. You have to want success bad enough to stay focused and stay with it. What are your top 5 key ingredients for entrepreneurial success & good business? Persistence-. Figure it out. Don’t give up. Go the extra mile. Surprise and delight your customers. Exceed their expectations. Get out of the fray early on. Face it… you don’t know everything and you can’t do everything. You’ll stay small if you don’t build a team when you need one. When you’re not working on your business, how do you like to spend your time? Family is very important to me. I’ve been married more than 35 years to my husband, and have 2 beautiful, successful children. All three are the lights of my life. Spending time with them is what I enjoy most. I also love taking my rescue pitbull, Teak for long walks in the park with my husband. That is our special time. And I love running and biking and I look forward to making more time to get back into those activities this spring. 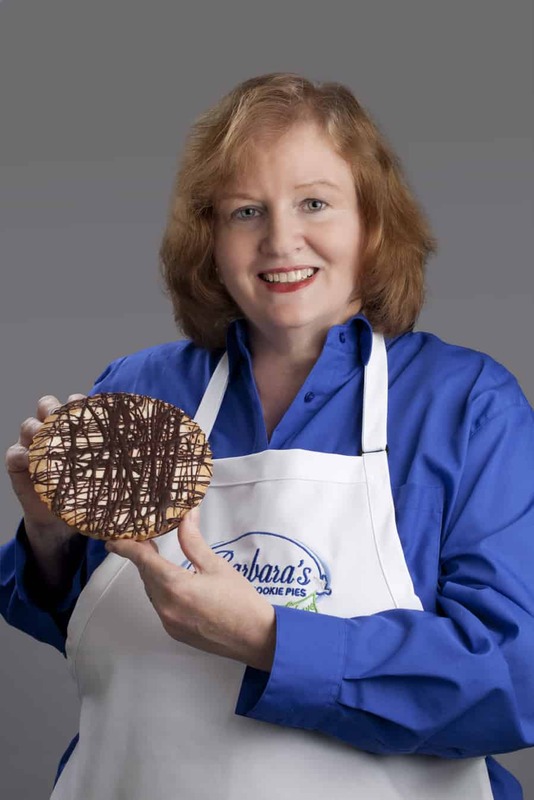 Barbara’s Cookie Pies is a WBENC certified women owned business that manufactures and markets hand-made gourmet Cookie Pies and Butter Cookies in retail shops, in catalogues, for private label and in various e-commerce channels. Their specialty is Corporate gifting where they have the ability to personalize a company name or their logos and/ or messages on the package labels and gift ribbons. The company’s website is www.barbarascookiepies.com. You can also call 1-855-SENDPIE. To learn more about their company please click here.